Nestled between the Atlantic Ocean and the Currituck Sound in the middle of a 100-acre maritime forest, Beachwoods Resort is a hidden gem and a four-season destination in the Outer Banks of North Carolina. Ideal for outdoor enthusiasts, the sprawling property is surrounded by lakes, woodlands, rolling dunes and wildlife, and lies adjacent to a 700-acre nature preserve. Families will love spending time at the largest outdoor pool in the Outer Banks as well as the indoor water park, complete with an interactive water play structure, a hydro-jet spa, water sprays, a hot tub and more. Nearby, explore a plethora of attractions and things to do, including the Wright Brothers National Memorial/Museum, pristine beaches and some of the best golf courses in the state. Explore how you can make the most of your Outer Banks adventure here. Stay in one of our spacious suites, offered in one-, two-, and three-bedroom accommodation choices with fully equipped kitchens and 42' HD TVs. After recent renovations and enhancements, this Diamond Resorts property has emerged as a premier choice among resorts in the Outer Banks of North Carolina, offering the perfect blend of beach and woodlands to create a private, lush oasis of relaxation and adventure. Please be aware that we are a campus-style resort and the guest suites are in separate buildings from the welcome center and you will need to walk or drive to the lodge area and pool. From watersports to wild horseback riding, to shopping and waterparks, Beachwoods Resort is convenient to a surplus of activities the whole family will enjoy. On the resort, you will find an indoor water park, fitness center, volleyball, tennis and basketball courts, a lake for fishing or paddle boating and the largest outdoor pool in the Outer Banks. Minutes from the resort, you will find access to the sandy dunes of the Outer Banks beaches, shopping with a view at the Waterfront Shops of Duck, the Hatteras Light House, Sea Scape Golf Links and so much more. Beachwoods Resort offers an array of on-property amenities including an indoor water park, fitness center, lakesidge lodge with lounges and a daily activity calendar for adults and children alike. Beachwoods Resort provides a private oasis for beach dwellers and wildlife lovers, alike. Perfectly nestled between the Atlantic Ocean, the Currituck Sound and 100 acres of maritime forest, our resort is unlike any other in the Outer Banks. Whether you're favorite passtime is lounging on the beach as the waves roll in or exploring museums, Kitty Hawk, North Carolina has it all. Beachwoods Resort is uniquley situated minutes from the areas most desirable attractions, while still being surrounded by lush forests, rolling dunes and a surplus of wildlife. 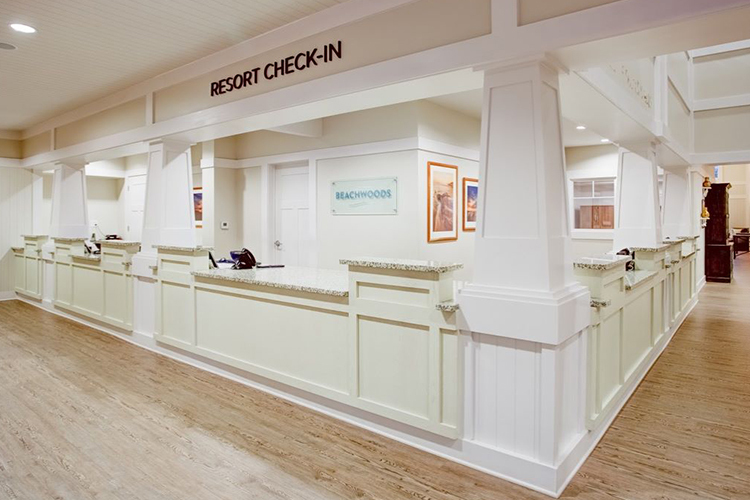 Booking directly at Beachwoods Resort ensures that you receive our best available rates, the utmost in customer service, and a worry-free booking experience. Beachwoods Resort allows guests to immerse themselves in nature-filled retreat, while being convenient to the areas best attractions.